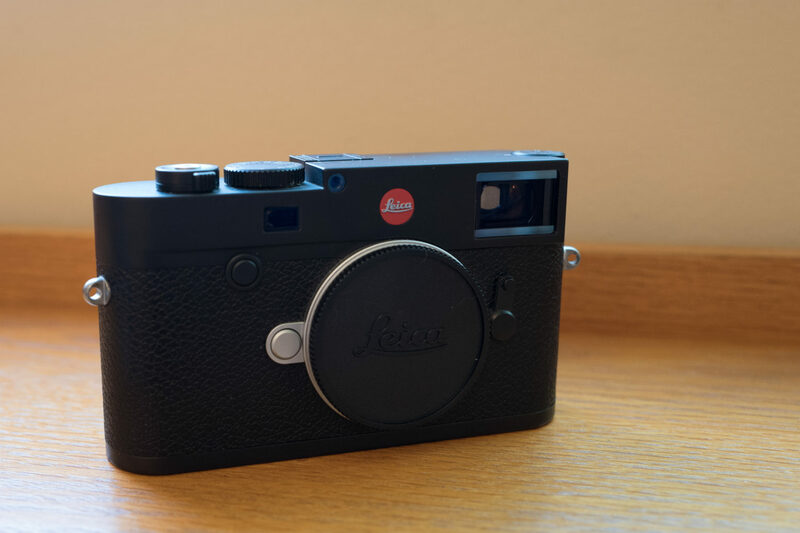 Where Did My Leica M10 Go? I never expected to part with Leica M10 six months after acquiring it. But such was the circumstance on Oct. 5, 2018. So shocking the suddenness, I waited three months to explain. The camera was my dream shooter—a magnificent manual rangefinder that fit my personality. Problem: Too often I couldn’t focus fast enough, or with appropriate precision. Perhaps another six months of use and practice would have made perfect. But my wife and I were looking at possibly moving from San Diego to Julian, Calif. So serious our intention that we had put down an offer on a house, where we went for formal inspection that fine Fall Friday. Thinking about living in the mountains in nature, I couldn’t imagine using the M10. For the wild woods, autofocus and telephoto lens would be better. So I had posted the camera for sale, with intention of replacing it with a Fujifilm mirrorless. At 8 a.m. PDT, as we were about to drive on I-8 East, someone emailed about my Craigslist post: “Hi! Is it still available? I’m very interested in it”. I answered, 82 minutes later, in Julian: “Yes, it’s still available”. Sixty seconds later, he made an acceptable offer for the M10 with plan to purchase “tomorrow”. I explained: “I am running off to an important meeting. Let me think on it, and I will get back to you in a few hours to confirm”. He agreed: “OK, let me know as soon as you know…actually I would be flying to San Diego just to buy you the camera. Let me know for checking out my flight”. At 10:45 a.m., while I followed around the home inspector, the prospective buyer emailed: “I think I can even take a flight today itself and meet you today around 6 – 7 p.m. Let me know, please!” Hours later, I read his email and answered: “Apologies but following the meeting today, we changed our plans about moving to the mountains. I’d like to hold on to the M10 for now. I removed from Craigslist, meanwhile”. Annie and I formally withdrew the home offer a couple days later; the real estate agent suggested giving the weekend to thought. Five minutes later, the prospective buyer surprisingly emailed: “I already have the flight to meet you today”. “Coming from?” I asked. “Mexico. I’m landing on San Diego in two hours”, he answered. As he waited to board the flight, I replied: “I apologise for confusion. You said meet tomorrow and I hadn’t yet committed to sell today. This is a mess”. Flying from Mexico seemed super sketchy to me, and I was willing to emphatically say no. But he did something in his next reply that changed my mind: Linked to his website. He is a Millennial wedding photographer. I liked his work and thought: “Frak it. He will get more value from the M10 than me”. We met at my local coffee shop. He brought along his dad. Both of us worried, then, with so much money and valued Leica changing hands. The photographer’s camera was another Leica, the 240, with oh-so-desirable (and costly) 35mm Summicron lens, which he used to test the M10. I asked why fly to San Diego, and he claimed that he couldn’t buy Leica in Mexico. (I haven’t confirmed the statement.) We exchanged cash for camera, shook hands, and I wished the wedding shooter and his dad well. They would spend the night, and catch a morning flight. I likely would otherwise have kept the M10, but sometimes circumstance leads to counter-emotional decisions that are right. I still have Leica Q, which suits most of my shooting needs. Thanks to my experience using the M10, I manually focus more now but faster and more accurately; peaking in the Q’s digital viewfinder works well for me. 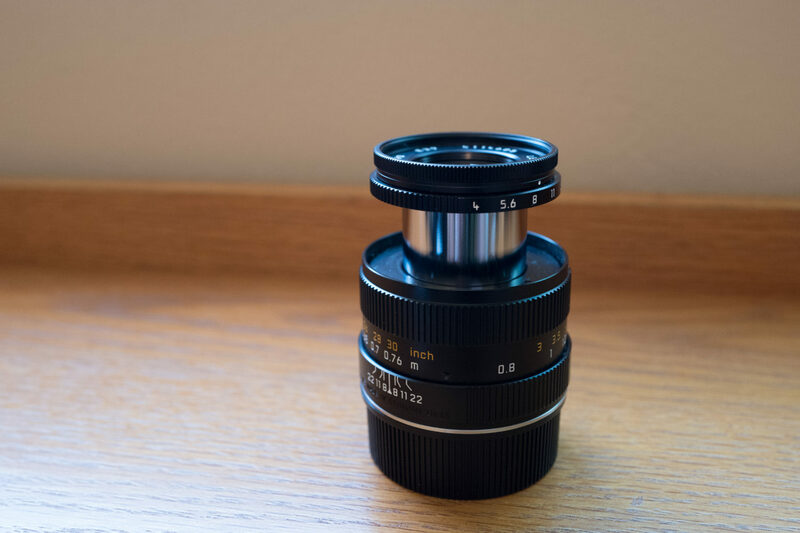 Two Leica lenses remained: Summarit-M 1:2.4/50; 90mm / f4.0 Macro Elmar Set w/Macro Adapter & Angle VF. The first sold in early November 2018. Someone bought the telescoping 90mm lens last night. Hence, the reason I tell the story, now that the last bit of my M10 kit is gone. I used the Featured Image (M10 body) and companion (90mm lens) for their respective Craigslist posts. Both were captured using Leica Q. Vitals: f/4, ISO 1000, 1/60 sec, 28mm; 12:33 p.m. PDT, Sept. 19, 2018. For the other: f/5.6, ISO 1600, 1/60 sec, 28mm; 1:10 p.m.